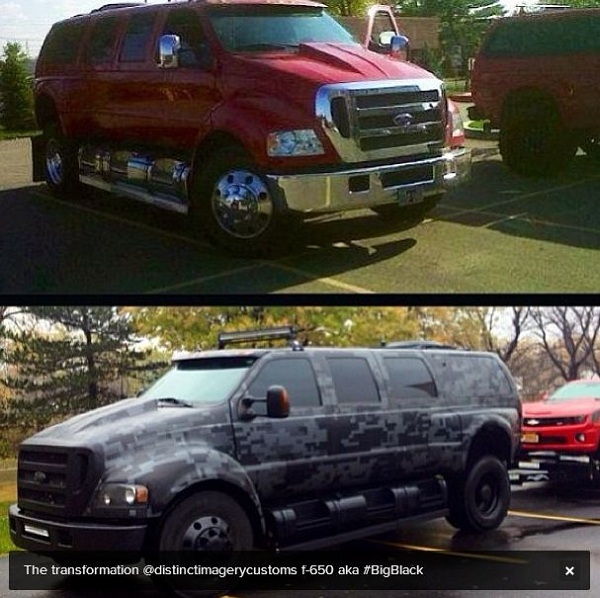 Forum » Vehicles » Other/Multiple Brand Vehicles » "Excess ain't rebellion"
base model F-650 6 door's cost $115,000. You could tow someone's house down the street sans trailer with the available torque in that thing. Certainly pays to be a 'baller. I could still enjoy that. My poor little YJ with all my add-ons and loaded with gear only got about 10mpg. I can get 15-20 out of my JK...I'll stay with that. Also, it's easier to park! Those are amazingly excessive rigs. Haha. But I'm not understanding this math. 9 miles a gallon = $2.17/mile? Who's paying $20/gallon for diesel? At roughly $4/gallon, wouldn't that be more like $0.44 (repeating, of course. Reference? Anyone?) per mile?